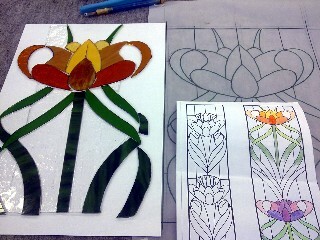 Glass designer & maker Paul Floyd will lead classes on stained glass. On the course you will learn the craft of stained glass and will design & make your own colourful leaded panel. Includes materials for a stained glass panel up to 35cm x 35cm. Only 3 people per workshop for maximum individual attention. For Booking Contact: Paul Floyd or subscribe to mailing list for future events by pressing the follow button on the right.